Scent of a Woman (Italian: Profumo di donna) is a 1974 Commedia all’italiana film directed by Dino Risi, based on Il buio e il miele, a story by Giovanni Arpino. 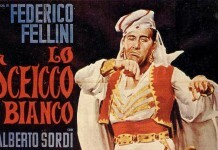 Both Risi and the leading actor Vittorio Gassman won important Italian and French awards. A blind Italian captain, accompanied by his aide Ciccio, who has been assigned to him by the army, is on his way from Turin to Naples to meet with an old comrade who was also disfigured in the same military incident. Unknown to his aide, the Captain means to fulfill a suicide pact there. 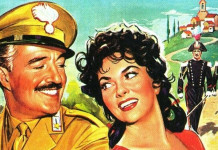 While they journey, the Captain asks Ciccio to help him spot beautiful women. Unsatisfied with the boy’s descriptions, he uses his nose instead, claiming that he can smell a beautiful woman. During their journey, he carries with him a picture of his beloved Sara, whom he could not bear to have see him disfigured and helpless. The suicide pact is eventually thwarted once Sara enters the picture, and the boy Ciccio does some much-needed growing up.